Join today and experience for yourself why more than 50,000 Business and IT Professional have become members of our community. Individuals at our Corporate Members can select Corporate Professional Membership and achieve the highest level of savings and benefits. 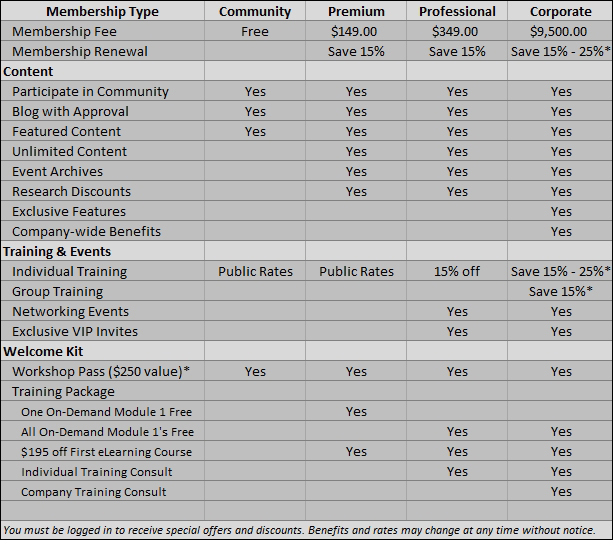 *Corporate discounts are based on annual spend. Determine your discount and next steps by entering your company name below.